Innovation is not just about implementing technology. Innovation is about people, culture and mindset. Innovation driver in audit services. Client-centric. Strong advocate for diversity and the advancement of women in business. As EY Global Assurance Innovation Leader, Jeanne is responsible for managing disruption and fostering innovation across the Assurance practice. She brings our vision for the audit of the future to life by by exploring emerging trends and technologies that impact our clients, redesigning internal processes, embedding an innovation culture within audit teams and helping to implement effective approaches for clients. With 25 years of experience serving global accounts, she leads the way in robotic process automation implementation, blockchain, data analytics and machine learning to provide high-quality digital audits and a new client experience. 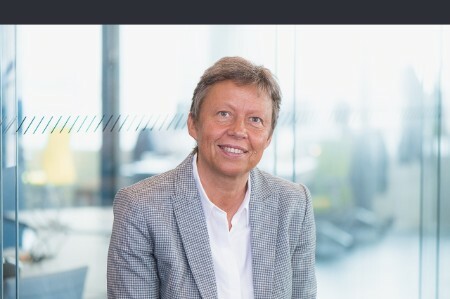 She has been with EY for 30 years, serving global priority audit accounts with a special focus on retail and consumer products for the past 20 years. In addition to her functional responsibilities, she has been involved in a variety of management roles at the regional and area level. She holds an MBA from ESSEC Business School.